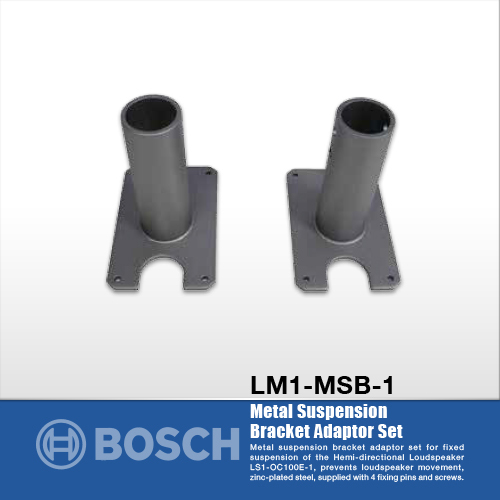 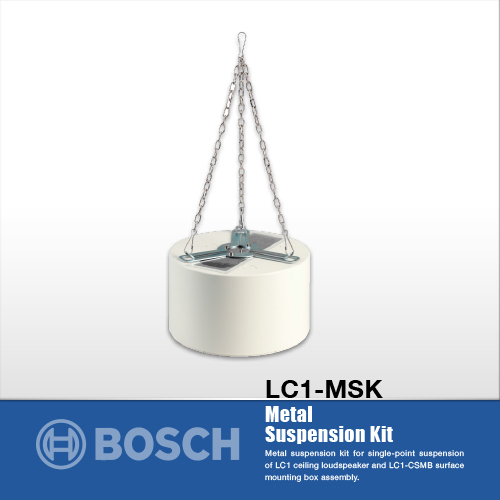 Metal suspension bracket adaptor set for fixed suspension of the Hemi-directional Loudspeaker LS1-OC100E-1, prevents loudspeaker movement, zinc-plated steel, supplied with 4 fixing pins and screws. 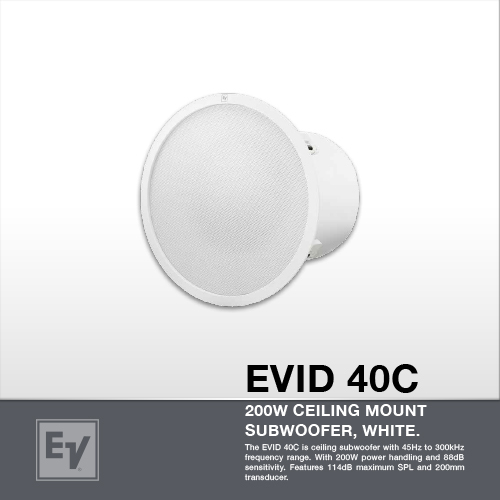 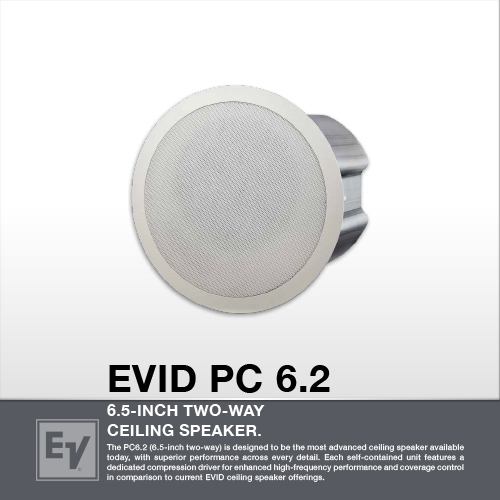 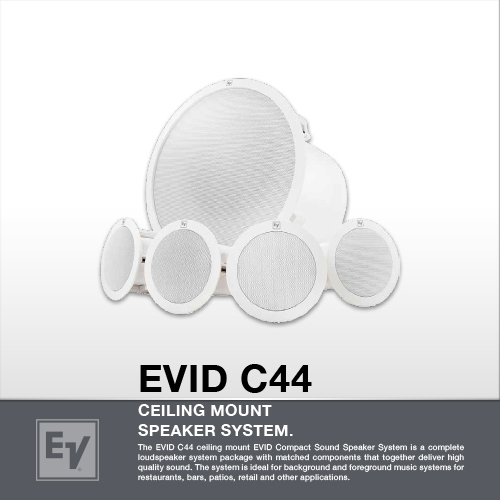 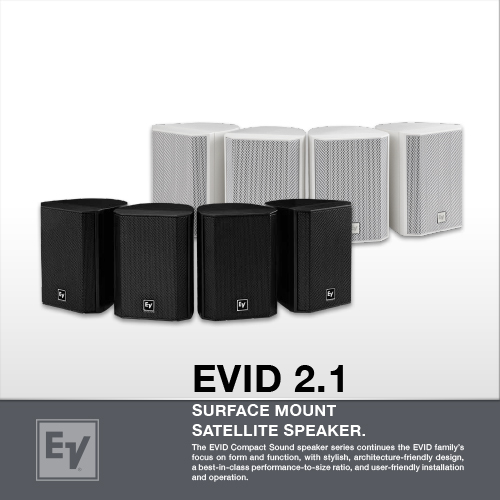 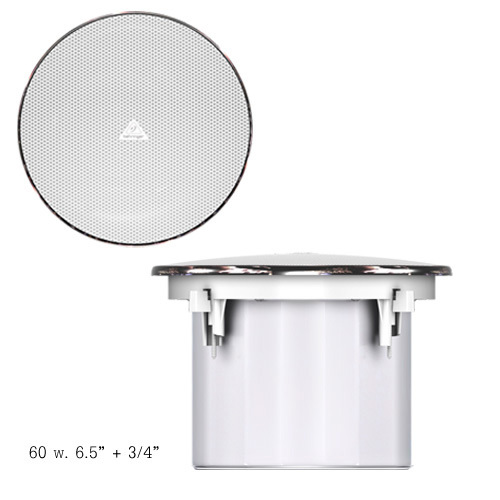 Hemi-directional loudspeaker, 100 W, high-impact ABS enclosure, metal grille, suspended mounted for large areas/high-ceilings, self-restoring tweeter overload protection, chlorine resistant, water and dust protected IP 42, white/silver finish. 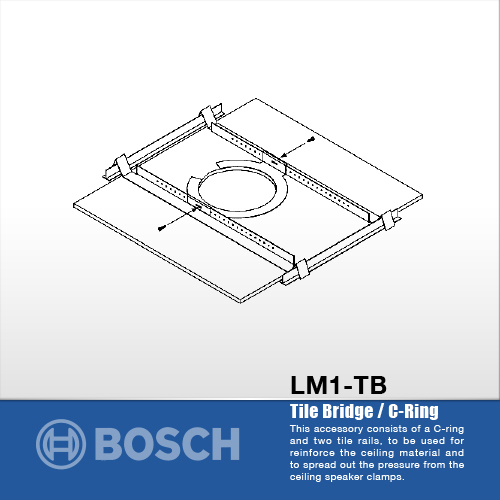 Tile bridge/C-ring, an installation accessory for reinforcing the ceiling material and distributing the pressure from the ceiling speaker clamps (set of two pieces). 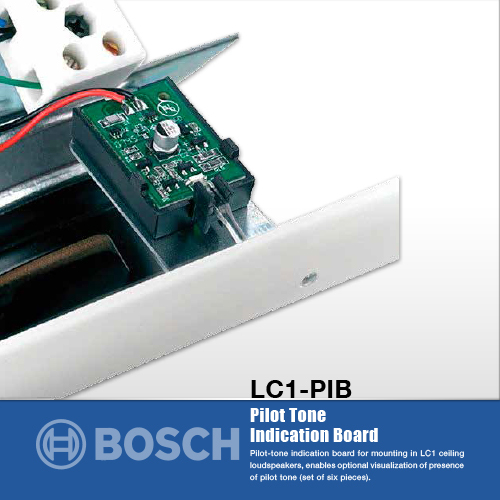 Pilot-tone indication board for mounting in LC1 ceiling loudspeakers, enables optional visualization of presence of pilot tone (set of six pieces). 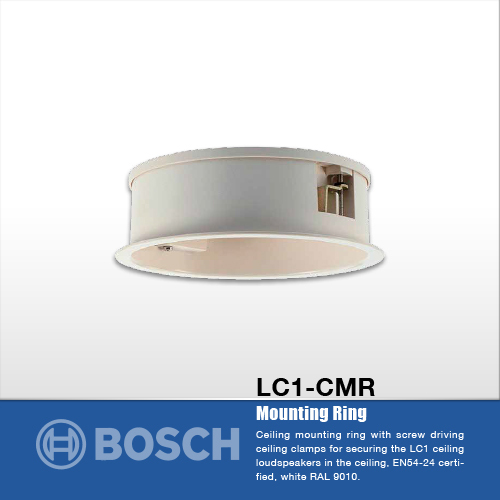 Ceiling mounting ring with screw driving ceiling clamps for securing the LC1 ceiling loudspeakers in the ceiling, EN54-24 certified, white RAL 9010. 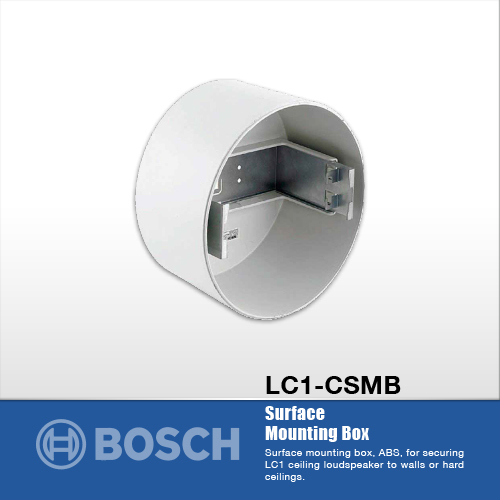 Back box for mounting onto the LC5 loudspeaker, protects the rear of the loudspeaker from dust and dripping water, makes the unit vermin proof, and prevents sound traveling via the ceiling cavity to adjacent areas, white RAL 9003. 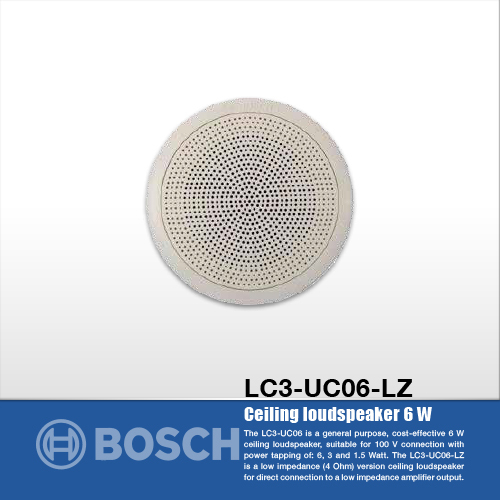 Ceiling loudspeaker 6 W, circular, ABS grille, compact design, ceiling mounted by two leaf springs, white RAL 9003. 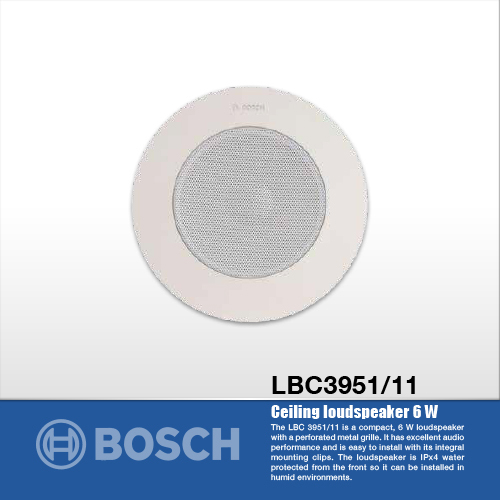 Ceiling loudspeaker 6 W, low impedance (4 ohm) version, circular ABS grille and frame, ceiling mounted by 2 integral spring arms, white RAL 9010. 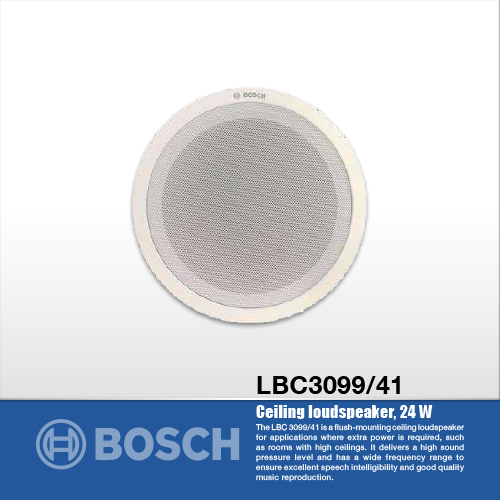 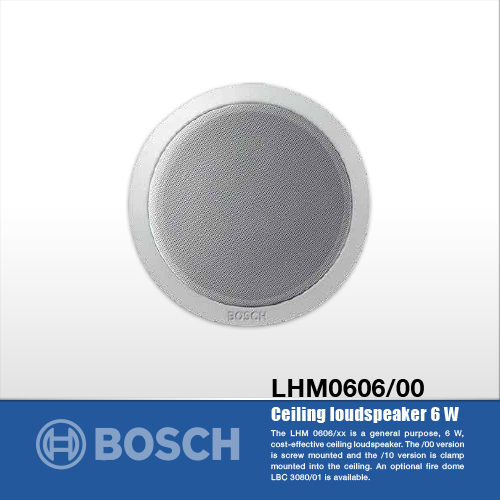 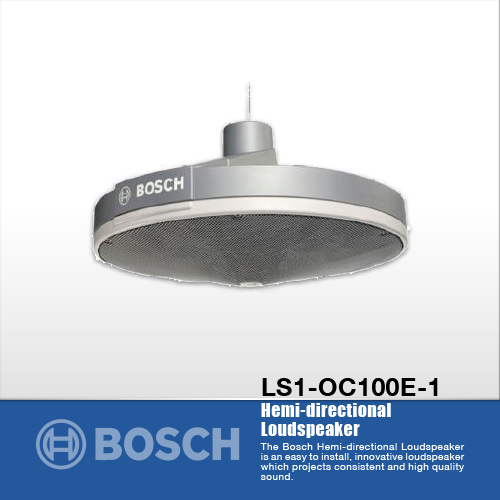 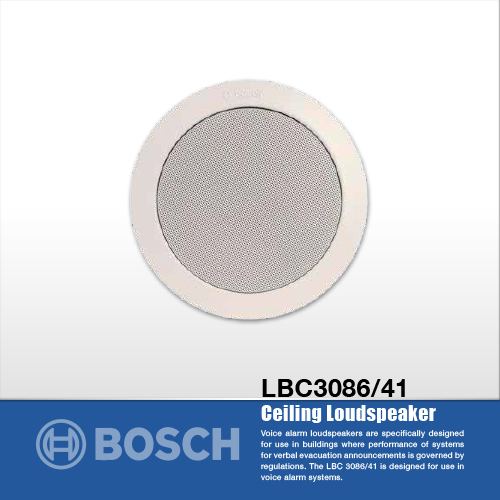 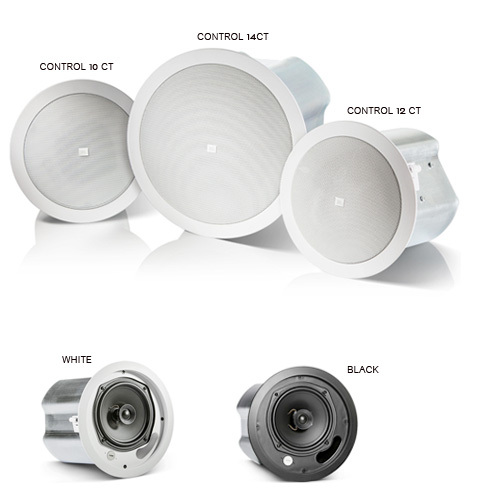 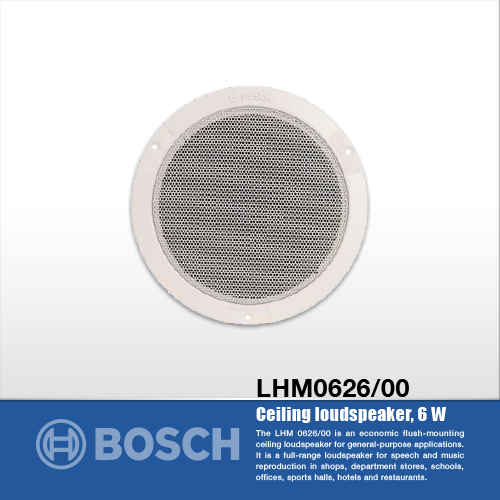 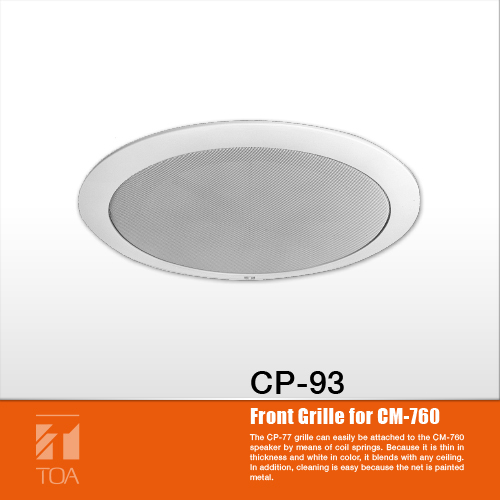 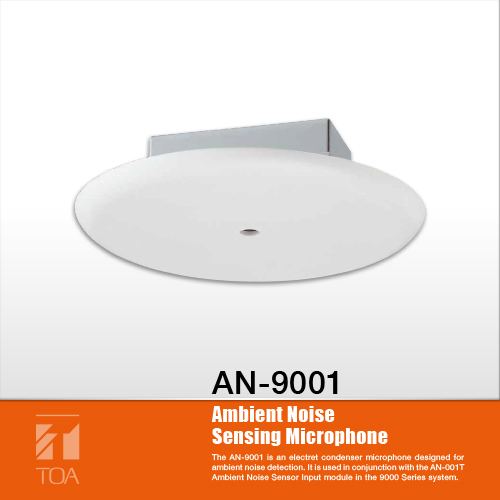 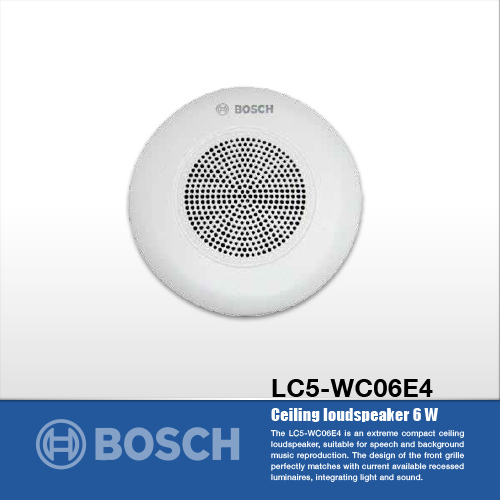 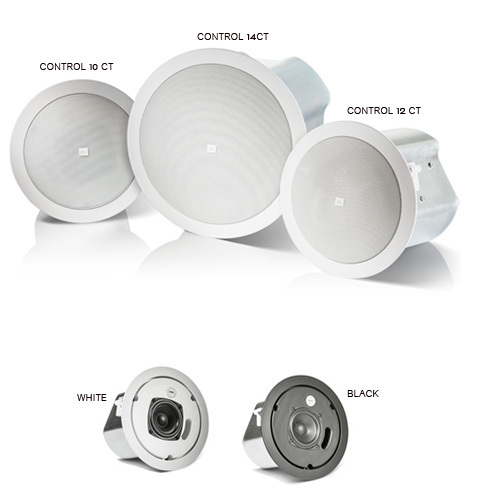 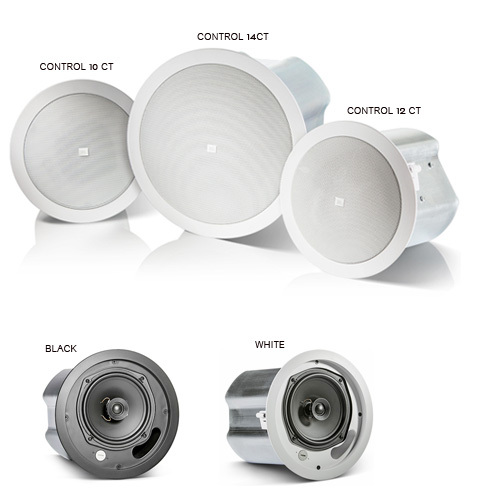 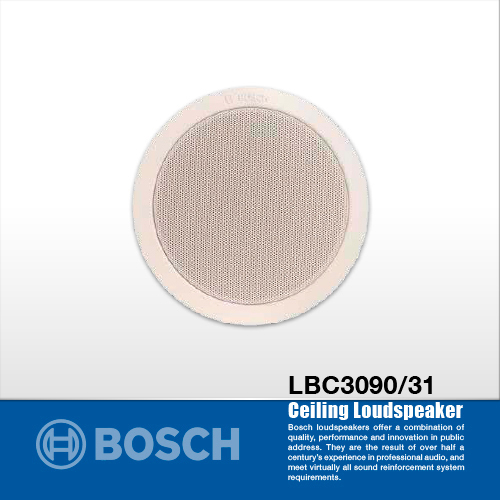 Ceiling loudspeaker, 6 W, integrated circular metal grille, screw mounted with 3 white screws (included), white RAL 9010. 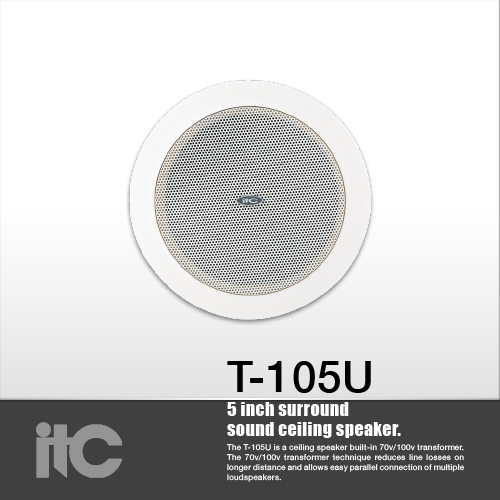 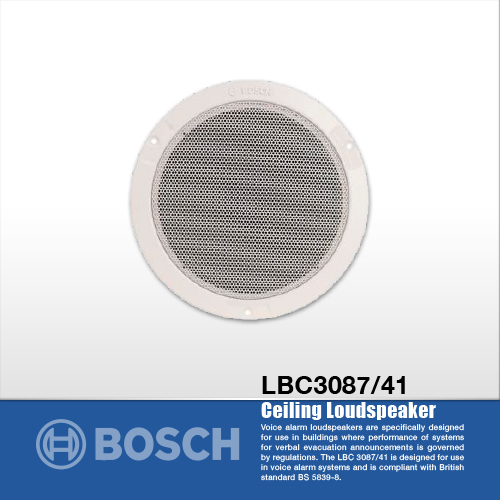 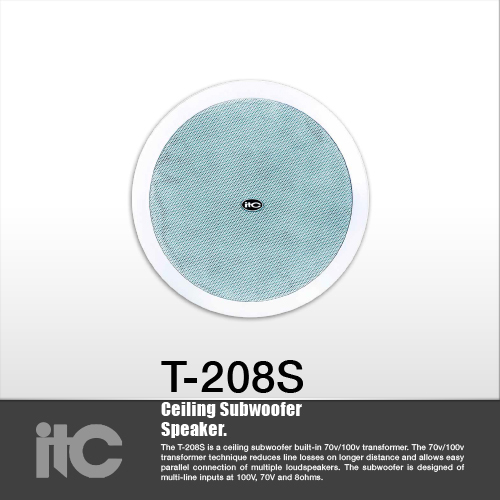 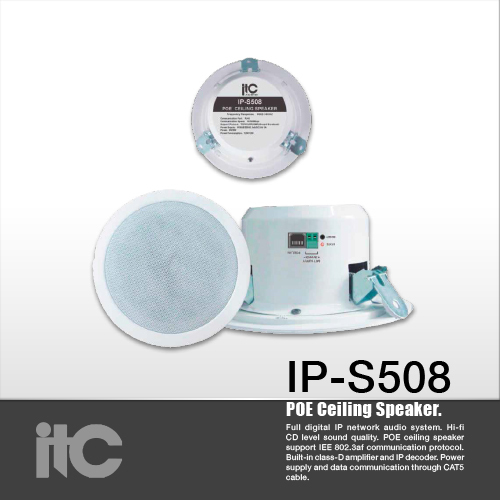 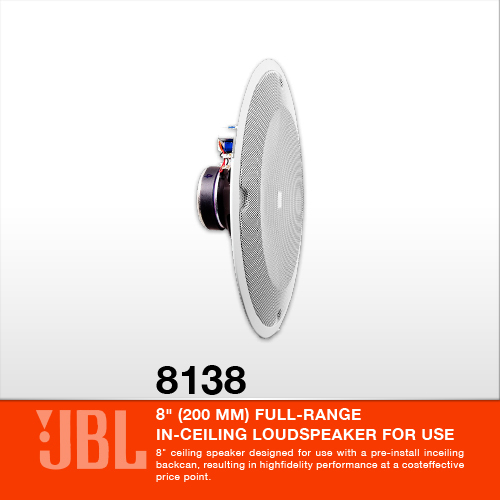 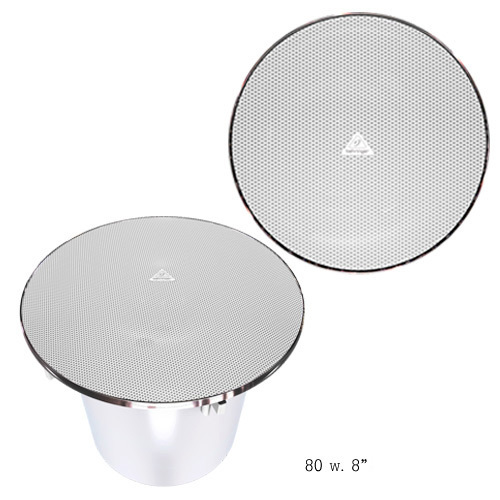 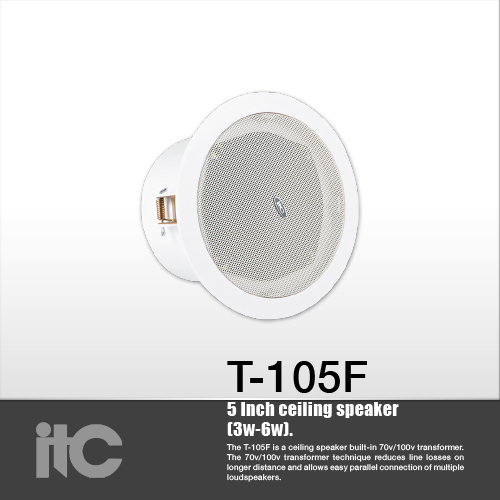 Ceiling loudspeaker 6 W, circular metal grille, ceiling-mounted with 3 (white) screws (supplied), white RAL 9010. 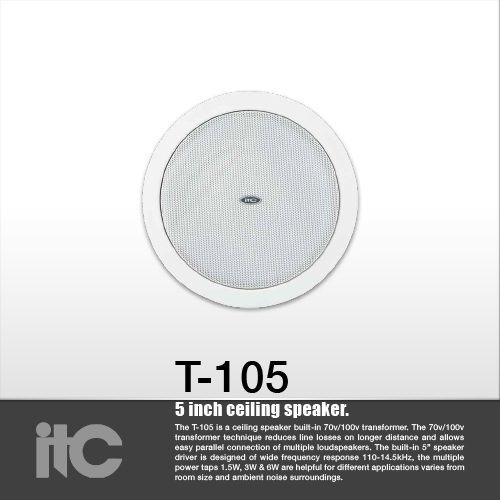 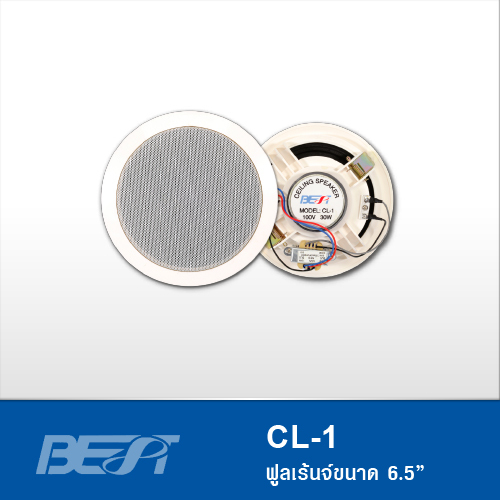 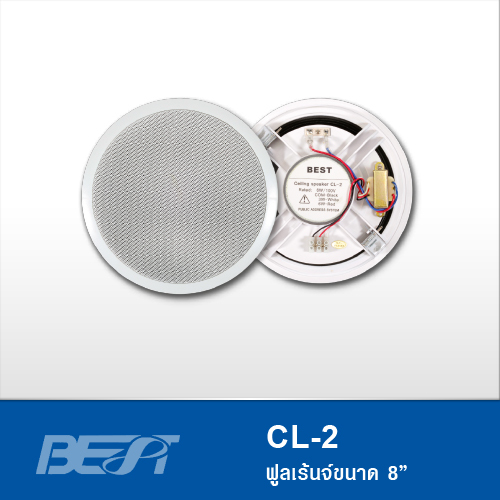 Ceiling loudspeaker 6 W, circular metal grille, ceiling-mounted with 2 spring clamps, white RAL 9010. 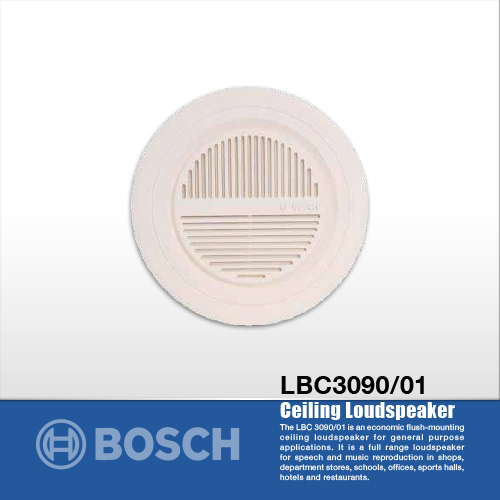 Ceiling loudspeaker 6 W, circular metal grille with an ABS surround, integral clips for easy mounting, push terminal block, white RAL 9010. Ceiling loudspeaker 6 W, circular ABS grille, integral clips for easy mounting, push terminal block, white RAL 9010. 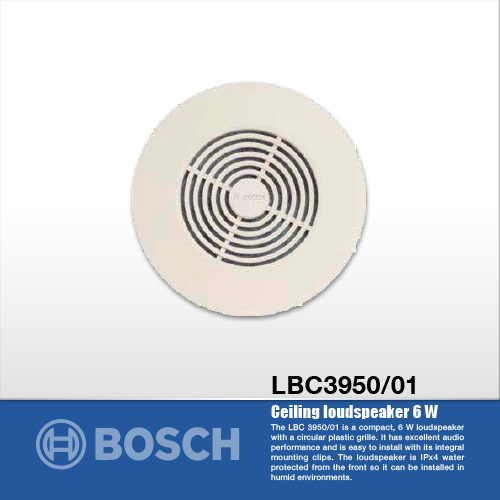 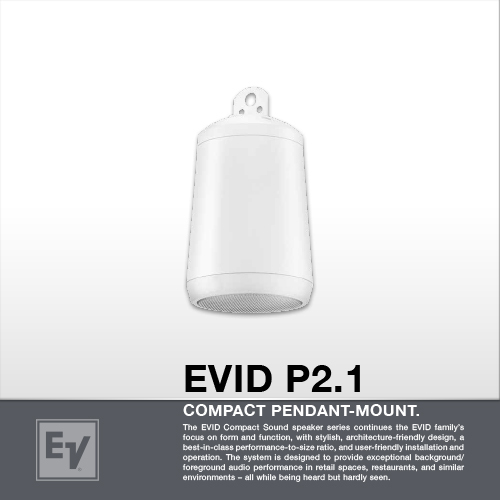 Ceiling loudspeaker, 24 W, integrated circular metal grille, two spring-loaded clamps for ceiling mounting, three-way screw terminal block, white RAL 9010. 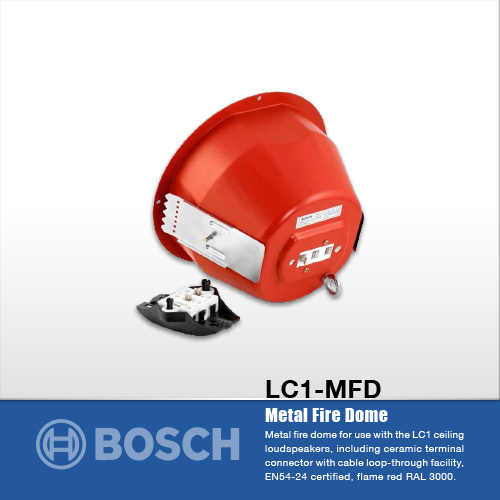 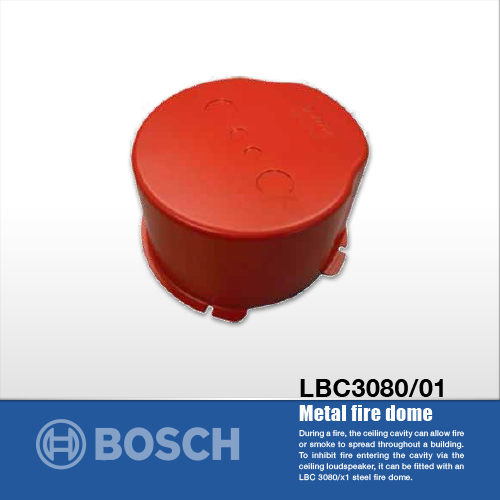 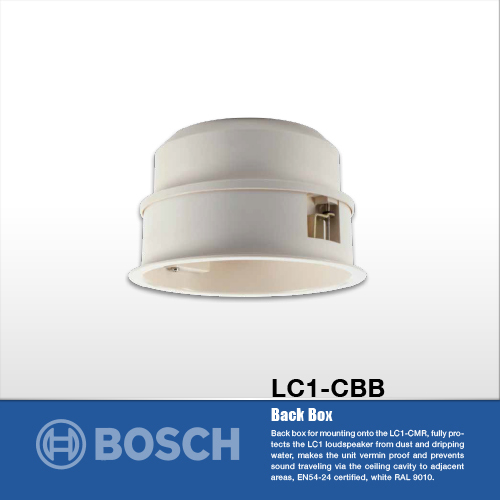 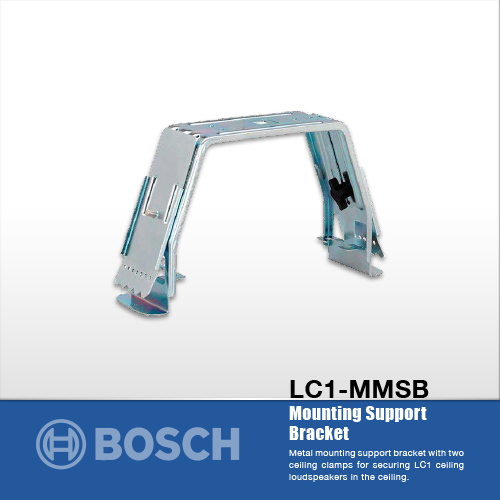 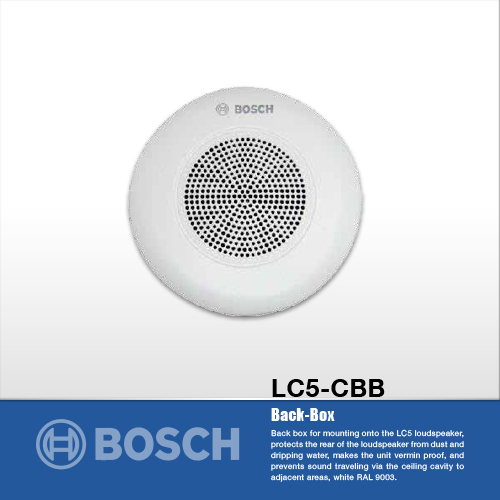 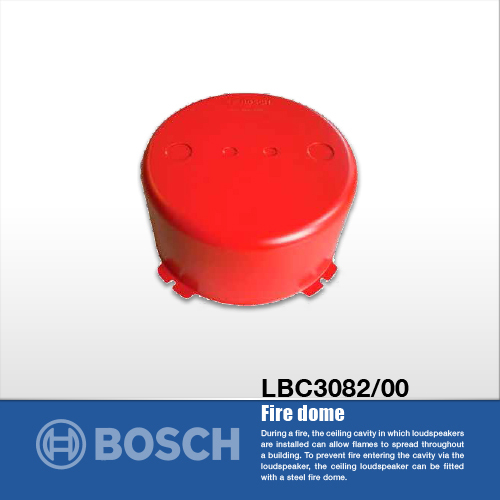 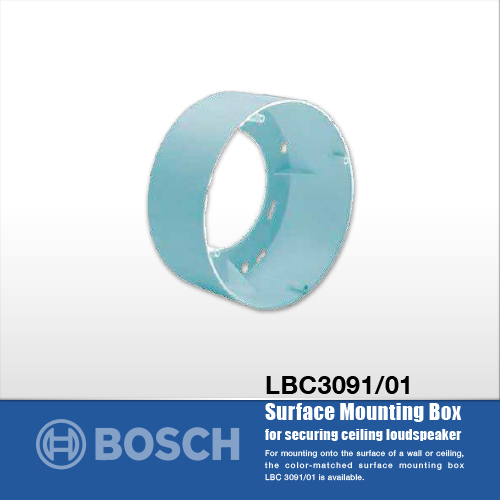 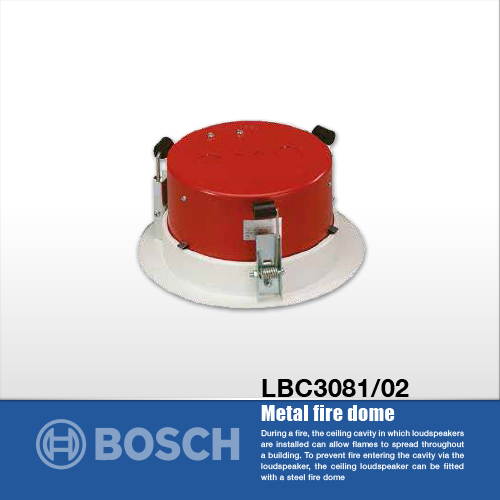 Surface mounting box for securing ceiling loudspeaker LBC3090/01 to walls or hard ceilings. 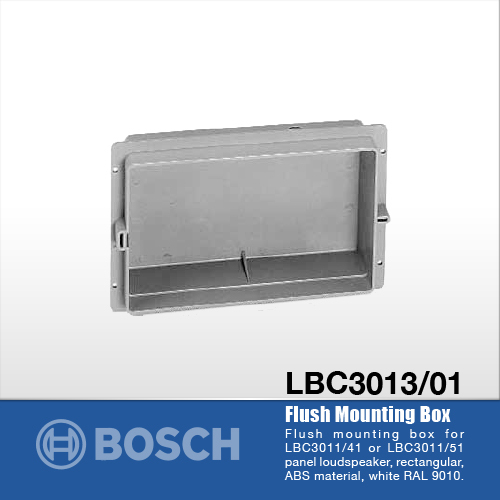 Flush mounting box for LBC3011/41 or LBC3011/51 panel loudspeaker, rectangular, ABS material, white RAL 9010. 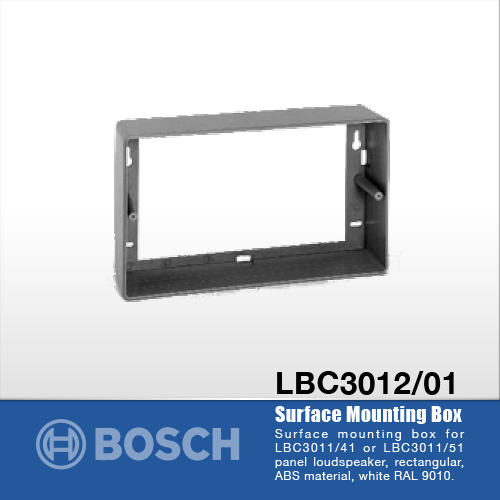 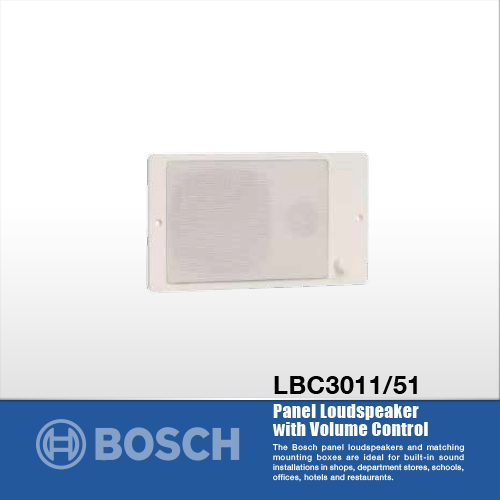 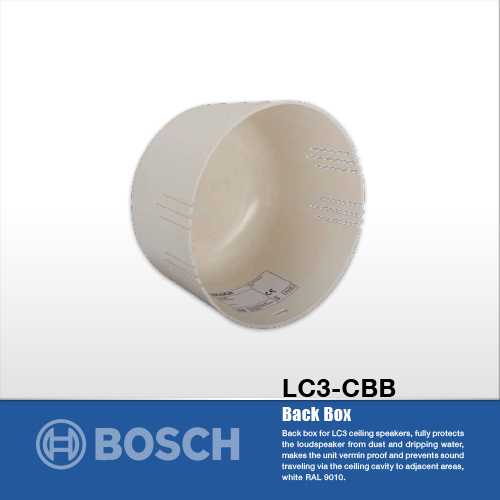 Surface mounting box for LBC3011/41 or LBC3011/51 panel loudspeaker, rectangular, ABS material, white RAL 9010. Panel loudspeaker 6 W, rectangular ABS front with metal grille, two-way system, with volume control, white RAL 9010. 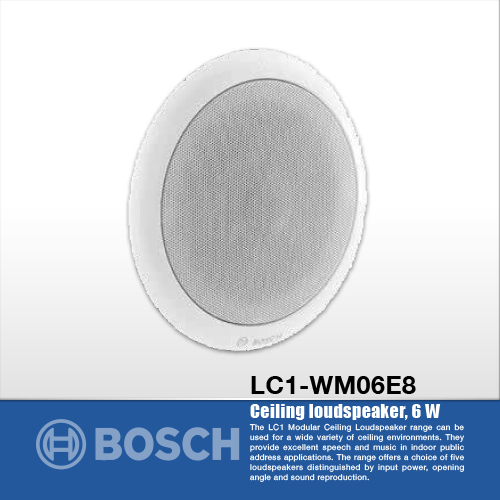 Panel loudspeaker 6 W, rectangular ABS front with metal grille, two-way system, without volume control, white RAL 9010.